Anna Kendrick flaunted her toned legs for the premiere of her movie ‘A Simple Favor’ on Monday at the Museum of Modern Art in New York City. She was joined at the event by co-stars Blake Lively, Henry Golding, Jean Smart, and director Paul Feig. The upcoming American neo-noir mystery thriller film is based on the 2017 novel of the same name by Darcey Bell (available at Amazon). Anna looked stunning in her ‘Sawyer’ off the shoulder dress from the Cushnie et Ochs Resort 2019 Collection featuring asymmetric fringe detailing along the hemline and a mini length. The American actress and singer accessorized with statement earrings and Sophia Webster‘s Lucia sandals that you can buy at Neiman Marcus and Mytheresa for $595. Fashion critics say she should have worn a simpler pair of shoes with this dress. What do you think? 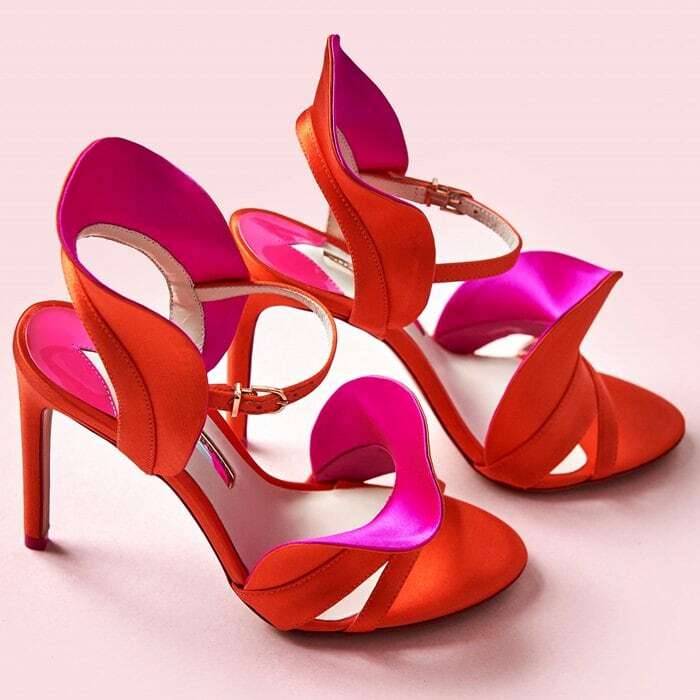 Adopt a vibrant finish with these stunning shoes that are created in a dazzlingly vibrant color combination of radiant red and majestic magenta satin. With bold, standing ruffles surrounding the cut-out heel and flaring over the toe, the design exudes eccentric flair. 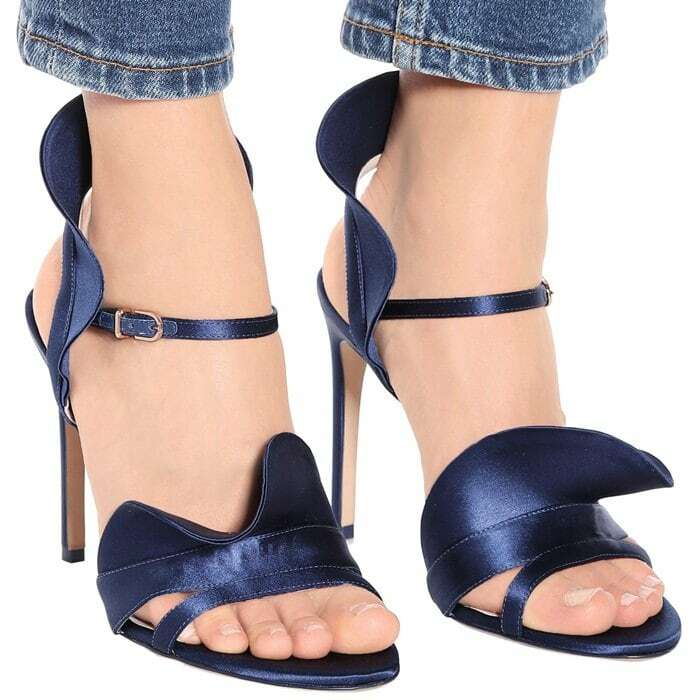 You can also buy these shoes in a deep navy colorway at Mytheresa. Which color do you like best? Blake Lively attended in a masculine-inspired Givenchy Fall 2018 Couture suit and ‘Clic Clac’ lace booties from Christian Louboutin. She walked the red carpet with her dapper husband Ryan Reynolds! Her statement shoes are from an earlier collection and are no longer available online. You can find the latest shoe releases from the French shoe designer at Nordstrom and Saks.